Language has always fascinated me. As a child, I was intrigued and eager to learn about grammatical rules and syntax, and I gradually developed an interest for foreign languages. I was captivated by the idioms and stresses, the sounds and rhythms. Later, I started studying psychology, specialising in psychoanalysis. As it aims to bring the unconscious to the conscious by the means of free association, a great importance is attributed to the language – words are considered the prime tool of the therapeutic process. It's no surprise it's known as the 'talking cure'. I was soon introduced to the works of Lacan, who famously said 'The unconscious is structured like a language'. I found myself facing the complexities, rules and subtle imbrications of language in a whole new way. I soon acquired a better understanding of the role of language, grasping how it was constitutive of our sense of identity. Lacan based his theory on words, stating that language pre-exists us. He believed that we are immersed in language before our births as we are 'spoken by the Other'. We would first and foremost acquire an existence by others, through their discourse, which would make us subject of a statement. We are then inserted into a world of words, thrown into a world of speaking beings where the mother (figure) becomes a spokesperson projecting a spoken shadow on us (Troisier, 1998). This inaugurates, anticipates our ‘I’. We do not have the capacity to voice our feelings ourselves straight away. Yet we cry, express our frustration and rawest needs, and it is down to our carers to interpret these cries. We are subject of need, alienated, enslaved. People around us name our feelings – they put the words in our mouth. Our language gradually emerges: we babble, refer to ourselves through the use of the third person ('Rebecca is happy'), and eventually resort to the use of 'I'. We become subject of our experience, our first person. We engage in a process of individuation: when talking, we separate and distinguish ourselves from the others. Lacan also considered language as an intermediate between the unconscious and the conscious, meaning that it would be possible to decipher, translate the rules of our unconscious in order to reach our subjective experience and truth (Conelly, 2002). I started to comprehend why the unconscious could be thought of as structured like a language. Plus, we regularly use linguistics processes that reveal fragments of our most unconscious thoughts and repressed desires: metaphors, sarcasm, denegation and of course, slip of the tongue (parapraxis). In fact, Lacan wrote “ça parle” (id speaks) meaning that through our symptoms or parapraxis, our unconscious speaks and reveals truths about ourselves. He also gives a crucial importance not only to the word but also to its sound. For example, in “genou” (knee), we can hear “je” (I) and “nous” (we). This is a very generalised and simplified vision, and would not make sense out of context. Or, when annoyed, we would say “ça me gonfle”, which translates at “this is bloating me up”. In a specific context, someone describing their experience using this idiom could be significant – I used to suffer from IBS and have used this idiom countless times to talk about my feelings. I was fascinated… but also very sceptical. Studying Lacan in French, the English-enthusiast in me kept wondering how this could work in English. Idioms differ, the sonorous implications of words too. I realised that language is more than words and grammatical rules. It has its specific sounds and melody, is rhythmically connoted and structured. It is strongly linked to a culture through idioms and cultural references. And of course, some of its ramifications lie in our deepest emotional experiences as language is our primary tool to converse with our love objects. Language is meaningless if deprived from its cultural/emotional/familial context. Through the emergence and acquisition of language, we separate ourselves from our primary love object (often considered to be the mother) as we engage in an individuation process. It cannot be a coincidence that our native language is referred to as mother tongue. Speaking a second language implies a separation from this mother. A sense of belonging and authenticity is associated with a first language; therefore, its 'loss' could induce a distance from the internal representation of our mother (Brucke, 2004). 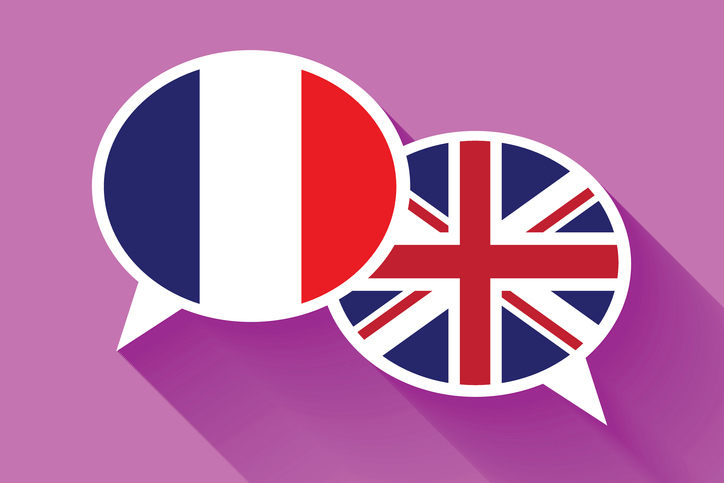 Bilinguals may consequently feel 'alienated in their adopted country' (Peta, 2002). This is how I felt. After the excitement of speaking a different language came something that felt very much like a grief: I was in a foreign land, far from my mother land, separated from my family. I struggled to communicate, often felt lonely and misunderstood. I felt confused, trapped in a tongue, a life that wasn’t mine. The unfamiliarity was disconcerting and de-personalising. I had to rebuild a sense of identity and ‘create an English me’. How to make all the elements of my identity coincide? What about the ‘psychologist me’? How could I practice therapeutically in English? What if I don’t understand what is being said? What if I don’t have the words to answer? I knew that speaking English would not be enough – an appropriation of the culture would be indispensable and I was aware I would have to engage in a work reaching far beyond the acquisition of vocabulary. My first step was to undergo therapy in English. Undertaking therapy in a second language induces an emotional distance, a 'detachment effect' which can have both negative and positive effects. It can hinder the cathartic effect and restrict the insight process as the process become intellectually-oriented – the focus is on how things are said rather than on the emotional content. This leaves less room for emotional engagement and leads to a diminution of the affective tone (Louis,1974). This was very much true for me at first. I felt like I couldn’t truly engage in a psychotherapeutic work: all I thought of was 'finding the accurate word' that would match the French one. I was lost in translation. However, this detachment can potentially be protective as it provides with enough emotional distance to process some feelings and experiences. These might therefore become available as opposed to 'trapped' in the mother tongue. Brucke (2004) considers a second language a tool for expressiveness. Her research showed that speaking in a different language was allowing clients to finally be someone they had been longing to be, or to address feelings they had been repressing. The second language seemed to have the potential to lift barriers and inhibitions which constituted a relief 'from the constraint embedded in the first language'. This was also true for me. I often found that, in English, I could speak about painful experiences without feeling overwhelmed. I was often surprised about how 'cold' and detached I sounded, as if someone else was voicing them for me. I almost felt disembodied, but in a way, it felt freeing. Not only could a second language endorse a protective role, but it could also be synonym of new possibilities and potentially facilitate expression and experiences. I felt released and relieved after a session. I found myself puzzled by my slips of tongue, struck with surprise when hearing my choice of words (I repeatedly talked about eating leeks during a session, whilst previously talking about how my symptoms were 'leaking'). I was also working therapeutically with a girl, who, on her final session, entitled a drawing 'Famly'. Realising her mistake, she said 'oops, there is an “I” in family.' The Lacanian in me was satisfied. Language is key, but is it enough? I do believe that mastering the (semantic, cultural and social) language is key, especially with the perspective to engage in a ‘talking cure’. The concept of a talking cure imposed itself as evidence and the sole option after my studies, but triggered doubts regarding its feasibility for the ‘me-in-England’. Other opportunities arose as I started working in a school, which led me to Jung. Jung attributes lesser importance to words and translation – his primary focus lies in the production of images and symbols. He grants primary importance to the creative process/impulse, thinking of art as a way to understand the unconscious through the use of symbols and archetypes, believing that 'symbols mean more than they say'. Imagination is encouraged and associated with individuation and healing – symbols are seen as an attempt from the psyche to grow and heal and are therefore propitious to the development of the personality. All creative work would be the key to therapeutic practice (Stevens, 1994). Some children are unable to name their experience due to the debilitating and overwhelming anxiety. Anxiety, especially when at its highest peak, is not tangible or nameable. It is like a floating, shapeless, nameless entity invading our bodies, invalidating our minds and leaving us with feelings of great unease, uncertainty and fear. All that is left to experience is chaos, nonsense. Not being able to precisely name the incomprehensible is the greatest frustration. It is highly common for children experiencing trauma to be unable to explain their feelings with words. Most of the time, children don’t even know what is wrong, therefore, questions such as 'what? why?' could potentially trigger further distress as they are not able to respond, leaving them with feelings of powerlessness and guilt. Facing these children, I realised I could relate. It echoed with the English-speaker me. How many times had I found myself frustrated and anxious due to the lack of words to describe my feelings? I could explain in French. How to help them address this unbearable, unfathomable feeling? How could I help them? And so I came across Drawing and Talking therapy, based on Jung’s theoretical approach. By drawing, children are able to express feelings that are impairing their daily life. Drawing not only allows them to explore and make sense of their emotions, but it also teaches them to cope with them and find a symbolic resolution to internal conflicts. I have been using the serial drawing technique and have been amazed by its effects. I witness how worries find a new language as drawing replaces wording. I notice how, by reaching and letting their imagination unfold, children create a new sense of self that replaces feelings of powerlessness. The page becomes a safe place and the spontaneous expression equals the free association. I have seen the children evolve through the different stages: from drawings reflecting their internal turmoil, to the struggle between opposite emotions, to finally reaching a sense of mastery and self-growth. This creative work enables them to address preoccupations without the need to systematically resort to words. 'When a child draws in the presence of the therapist on a regular basis, then the healing potential is activated, conflicts expressed and resolved, and the therapist can gain a clearer and more accurate view of the unconscious at work' (Allan, 1988). Drawing becomes their second language, and it seems like a 'detachment effect' is at work: the emotional distance induced by their stories allows them to process their feelings safely. Language plays a critical role in our lives. It is linked to our most primary experiences and is intimately connected to our sense of self. It allows us to address worries and painful experiences in therapy. Sometimes, however, maybe it isn’t all about the words, but about an encounter. About someone noticing. Where verbalisation reaches its limits; creativity can be the substitute that allows us to represent and make sense of our inner conflicts. This simple encounter of subjectivities could already be good enough. Life in England has been an incredibly enriching journey. It helped me realise that, even when sharing the same mother tongue, we are not immune from the pitfalls of confusion or misunderstanding. (Don't we all sometimes say ‘we're not speaking the same language’?) It taught me that a second language creates possibilities as it is synonymous with new connections and opportunities to relate to more people. Most importantly, it offered me a chance to work therapeutically with children, to know what I want to do and to thrive in my work. J'ai trouvé ma voie, et ma voix – I found my way, and my voice. My horizons have broadened, which led me to discover a different side of myself. I have found resources and strengths I never suspected I had. Or maybe I have created them and 'expanded' my identity. I suppose I found some comfort and reassurance in the Jungian theory through discovering a new definition of creativity, which probably helped me come to terms with the difficulties associated with the language barrier. I have lost and found myself in translation. Or: lost myself in translation, found myself in creation? - Rebecca Poinot is a member of the British Psychological Society. Allan, J. (1988). Inscapes of the child’s world: Jungian counseling in schools and clinics. Dallas, TX: Spring Publications. Bowker, P. & Richards, B. (2004). Speaking the same language? A qualitative study of therapists’ experiences of working in English with proficient bilingual clients. Psychodynamic Practice, 10.4; November. Louis, M. (1976). Bilinguals in psychotherapy, language as an emotional barrier. EBSCO Host. Rosenblum, S. (2001). The role of language in therapy: how bilingual/multilingual therapists experience their work with bilingual/ multilingual clients. Theses, Dissertations, and Projects. Stevens, A. (1994). Jung, A very short introduction. Oxford University Press. Troisier, H. (1998). Piera aulagnier. Paris: PUF.